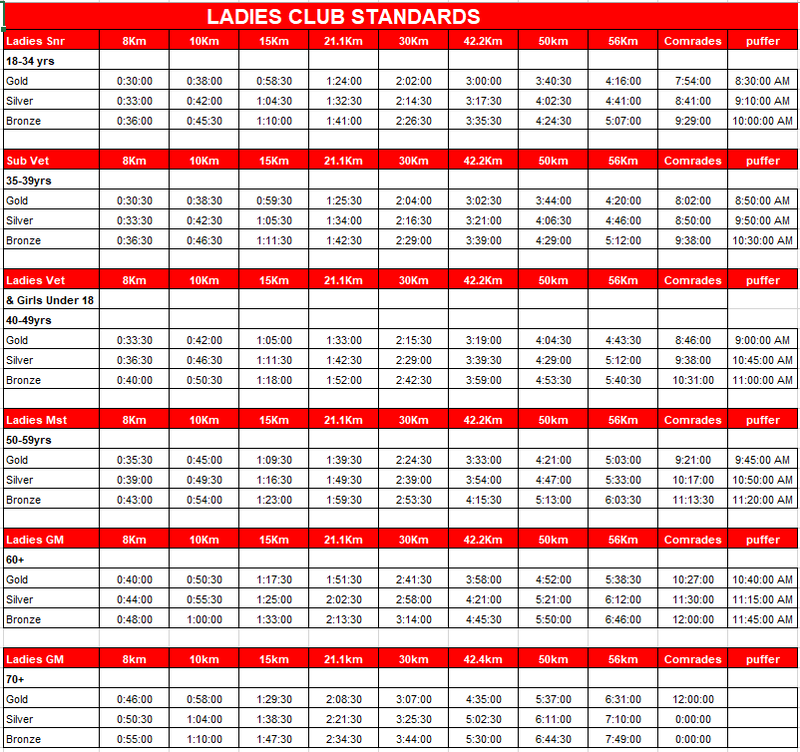 Club Standards are a reward system used by the Club to acknowledge outstanding running performances. If a certain time is achieved in a race either a bronze, silver or gold standard is obtained. There are different times required for male and female as well as the different ages and distances. Puffer standards remain the same. You will receive a bronze standard award at the annual awards evening. You will receive a silver standard award at the annual awards evening. 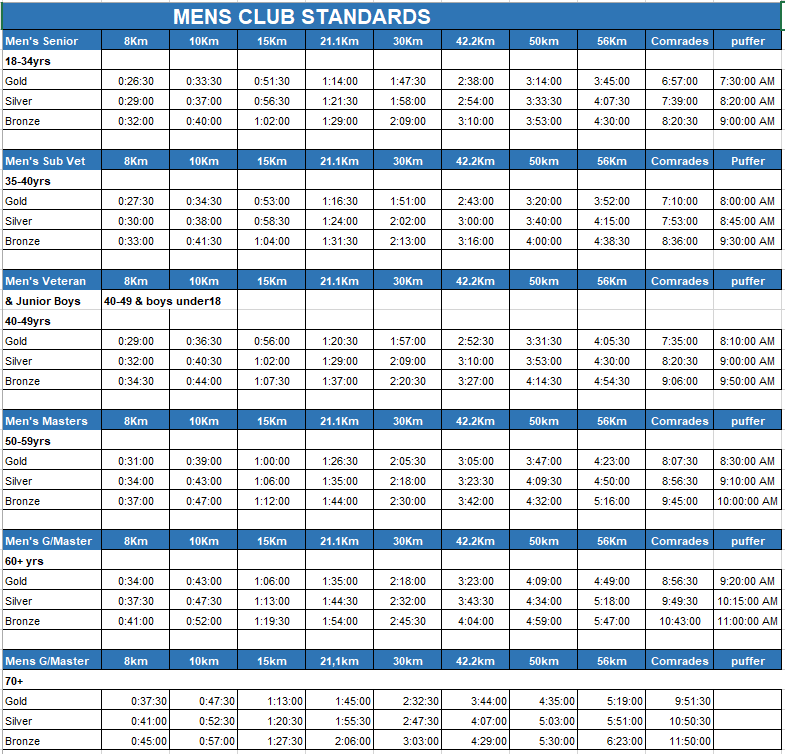 Below is the previous Club Standards summary.